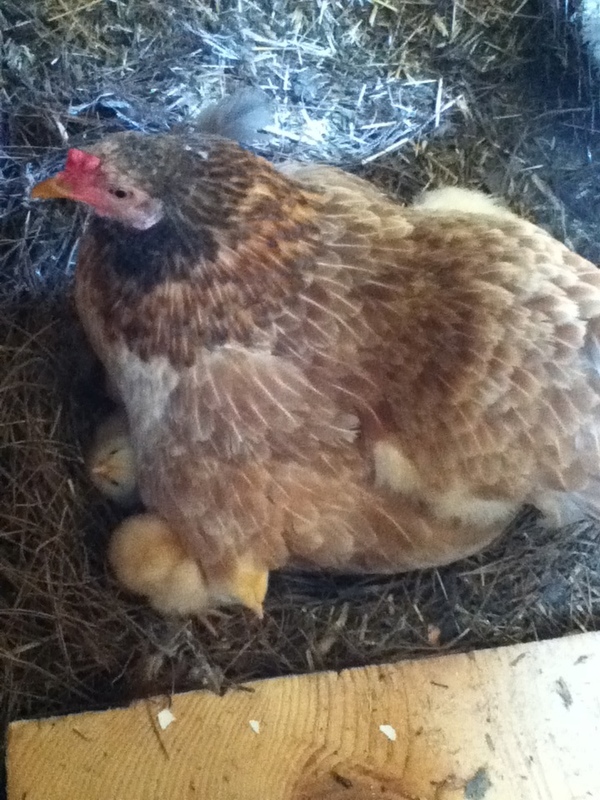 A birth announcement that predates what I hope will be my own good news- we have chicks! They are all tucked under mama hen here, but there are 9 in all and one of them is all black. What clearer sign of spring could there possibly be?